athdaraxen wrote: Do you like? athdaraxen wrote: What do you think? 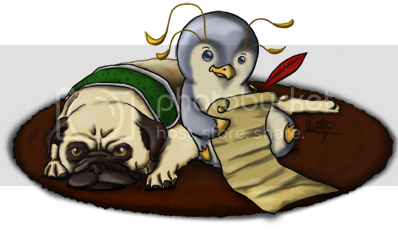 Re: Athy's Graphics Shop-aethelwhyne & silflame's Ready! I'm glad you both like them! You have two options for the right side bar, I know you wanted blue for both but I wanted to throw what a red and a blue side would look together too. You can use whatever combination you wish. Imma use it right now! Yeah! Athy is my nickname after all. I'm so glad you like it! Which one did you like more? I'm glad you like it! Thanks again for ordering! athdaraxen wrote: I'm glad you like it! Thanks again for ordering! Type Of Graphic: Banners and Userbars. Details & Colors: Dark random creatures put on the banners and userbars. I really don't have any specific colors, so can you choose them? Anything Else? : Can the text be The Monlight Shadow's Shop. You can shorten it on the Userbars for the TMS Shop. Total: Depends. I'd like as many as you can make.